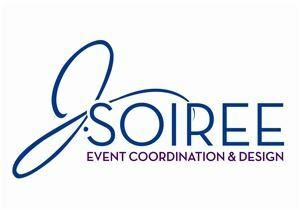 J.Soiree is a full production event planning and design company that creates your perfect event from concept to completion...so that YOU can relax and enjoy the party alongside your guests! Our goal at J.Soiree is to exceed the expectations of our clients with our professionalism, quality coordination, and creative design. Our attention to detail ensures that your party gets the full focus it deserves. Our one-stop shop offers many services, packages, and a la carte options. No party is too big or too small! J.Soiree is a member of ISES Los Angeles and Step Up Women's Network. Our events have been featured in "Utterly Engaged" magazine and decor-inspired websites like "Trendsetting Weddings" and "Spontaneous Clapping." We have also participated in events sponsored by BizBash LA, The Special Event 2009, and FLFF. For all your party needs, contact J.Soiree and let us help you create a unique fabulous event, without the stress!